A rare feel good story from a world full of beaches drowning in rubbish..
Last year we brought you the story of Versova Beach in India, which was restored from a putrid rubbish dump to a near pristine stretch of coastline through a volunteer lead, grass roots campaign. And now, two years on, the beach has become a nesting site for a vulnerable species of turtle. 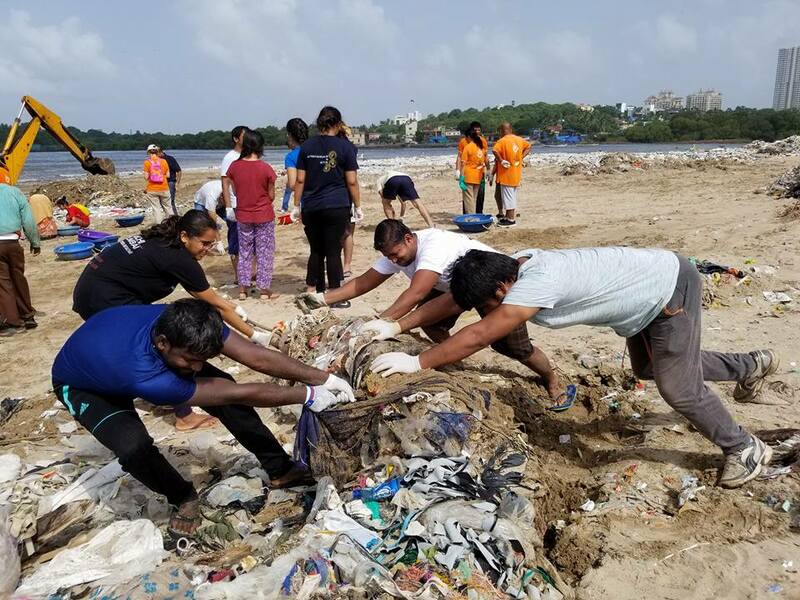 It all started with a young lawyer named Afroz Shah and his 84 year-old neighbour, who began organising regular beach cleans and recruiting fellow volunteers from all walks of Indian society, from slum dwellers to Bollywood stars to help clear the knee deep piles of rubbish that lined the beach. The campaign was a huge success, ridding the 2.5km stretch of sand of some four thousand tonnes of rubbish over an 85 week period and was subsequently dubbed the ‘world’s largest beach cleanup’ by the UN. Alongside the ongoing beach cleans, the team then began planting coconut trees, with a view to restoring the coconut lagoon that once inhabited the beach. After two years of efforts, the community has received an indication that their hard work is paying off. Not only has the beach become useable by local people, but it recently played host to a colony of newly hatched Olive Ridley turtles. Shah first got wind turtles may be nesting at the beach when farmers told him they had seen adult turtles on the beach. “The moment we got that news I knew something big was going to happen,” he told the Guardian. Turtles come ashore to lay their eggs, which leaves their hatched young susceptible to being eaten as they make their way back to the ocean. So, at Versova, 25 members of the public camped out to make sure birds and wild dogs were not able to prey on the baby turtles as they set off on their commute. While neighbouring coastlines have been the site of nesting turtles, none had been seen at Versova for several decades due to pollution, suggesting their presence now is purely down to the efforts of Shah and his volunteers. “I had tears in my eyes when I saw them walking towards the ocean.” he said.